I had asked a question about this earlier, I think on Extreme on FB — in the 70’s, in one of the Communications Handbooks, there was printed a re-production of the QSL letter from Radio Biafra, obtained by DX’er Alan Roth. It would be interesting to find out if (a) Roth is still living (b) what happened to the QSL, which according to the article or caption in that Comm World, was kept in a safe. 23 March 1968 05:06-05:40 UTC on 6145 kHz with a poor to fair signal. It was received with my Knight Kit Span Master 2-tube regenerative receiver during my last year in high school in a suburb of Toronto. Here are copies of three of my reports to the Yahoo DX Listening Digest Group. I recorded the signals on 15560 kHz from our rented vacation house here on Grassy Key (Marathon), Florida, from about 17:56 UTC to past 20:00 UTC using a Tecsun PL-880 receiver fed by a Tecsun AN-03L 7-metre wire antenna near ground level down near the water’s edge (Gulf of Mexico side). Unfortunately, almost continuous QRN from near-by thunderstorms disturbed reception. At 17:56, the frequency was occupied by DW in French from Issoudun with a reasonable signal clearly understood through the static. It went off at 17:59. A short while later, a weak open carrier appeared on the frequency. I had not calibrated the Tecsun’s frequency readout so didn’t make an accurate frequency measurement. No audio was detected on the recording until about 18:48:32, when music could be heard. This was part of Sibelius’ Finlandia followed by the Biafran national anthem, “Land of the Rising Sun,” whose tune apparently is based on Finlandia. It was very difficult to make out any of the speech which followed. The signal was much weaker than that of DW previously on the frequency and was mostly buried in the static crashes. The odd English word could be made out. Reception became a bit better after about 19:30 when whole English sentences could be understood from time to time. The theme of the presentation was that the Nigerian government was oppressing the Biafran people in various ways. At 19:57, the presenter said “The time is exactly four minutes to nine” — just one minute off from Nigerian time (UTC + 1 hour). Then he said something about a satellite dish. Shortly after, at 19:58, the transmitter left the air. Although signal strength improved slightly by the end of the broadcast, it was still weaker than NHK in Japanese via Issoudun on 15130 kHz after 20:00 UTC and VOA in English from Botswana on 15580 kHz. I’ll try receiving Radio Biafra from New Brunswick once I return home. Now back in New Brunswick, I recorded the signals on 15560 kHz unattended from about 16:53 until past 20:00 UTC today, 2 September 2015, using a Tecsun PL-880 receiver fed by a Tecsun AN-03L 7-metre wire antenna outdoors near ground level — the same setup I used in Florida last week. DW in Amharic from Dhabbaya followed by French from Issoudun were heard well. The French broadcast ended at about 17:59. I couldn’t tell from the recording whether the Issoudun transmitter continued on the air or if a new transmitter came on the frequency; the open carrier seemed to be continuous. In any case, no audible heterodyne was heard. But, except for some short noise bursts, no audio was heard again on the frequency until 18:05:02, when a piano + violin + orchestra light music piece began and which was repeated several times until 18:21:50. (Could we possibly use that particular piece to identify the transmitter if it has been used before for filler?) After that, there was only an open carrier. The signal was reasonably strong — at least as strong as the preceding DW French transmission from Issoudun. With the 5 kHz RF filter selected on the Tecsun, there was some splash from the strong signal from Vatican Radio on 15570 kHz. It was a bit hard to tell from the recording but it appears the 15560 kHz carrier went off the air a couple of seconds after 19:58. Afterwords, I tuned around the 19-m band and there were very good signals from Vatican Radio, VOA, and NHK, a fair signal from Argentina on 15345 kHz, distorted signals from Radio Cairo (as usual), and an open carrier from REE (I checked REE on 17715 and 17850 kHz and they also had open carriers. This was around 20:10 UTC.). I also checked 15476 kHz (LRA36 Radio Nacional Arcangel San Gabriel) for a hint of a carrier, but nothing was heard. 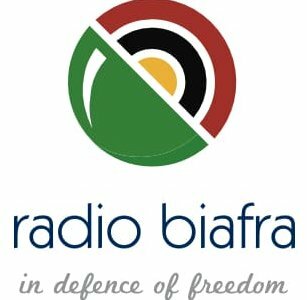 Will try again for Radio Biafra on the weekend. I recorded the audio on 15560 kHz on Sunday, 6 September, from about 16:50 to past 20:00 UTC here in Hanwell, just outside Fredericton, New Brunswick. DW in French from Issoudun between 17:00 and 18:00 UTC had a fairly good signal. Radio Biafra signed on within a second or so of 18:00 UTC with a much weaker signal than that of DW and began with African (Biafran?) music, which played for about 5 minutes. This was followed by dead air for about 5 minutes then a bit more African music. The formal start of the program with part of Sibelius’ Finlandia followed by the Biafran national anthem, “Land of the Rising Sun,” happened at about 18:11 UTC and only a bit of the anthem was played and not the longer version I had heard before. Then there was some talk but it was not initially understandable. It wasn’t until about 18:40 UTC that parts of the talk could be understood. It turned out that it was a live broadcast from the World Igbo Conference in Los Angeles (see http://nigeriamasterweb.com/Masterweb/masterwebnews-5915-radio-biafra-address-world-igbo-congress-convention-us). The signal eventually improved to a good level and a sample of the audio towards the end of the first hour is attached. The signal continued at this level until about 19:00 UTC when there was dead air for about 4 minutes due to some problem for which the program host apologized when they came back. Generally, reception was not as good in the second hour and gradually deteriorated. The transmission ended within a couple of seconds of 19:58 UTC. NHK in Japanese via Issoudun on 15130 kHz at a few minutes past 20:00 UTC had a significantly better signal than Radio Biafra at the end of its transmission. Are we sure Radio Biafra is coming from Issoudun?